These 10 competent cruisers can be found on the used boat market for a reasonable price, yet have everything you need to cast off the lines and head for distant horizons. 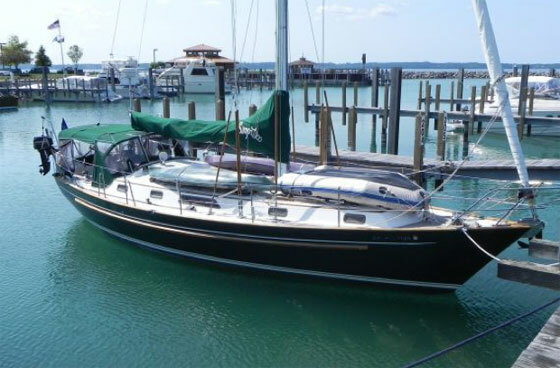 It seems everyone has a top 10 list of ideal used bluewater cruising sailboats, but when compared, no two lists would ever be the same. And while we made our top picks for Five Affordable Bluewater Cruisers a few weeks ago, those newer, more expensive boats don't fit into everyone's budget. Classic cruisers, however, have a surprising longevity and there are quite a few models that are 20 to 30 years old, which—with some work—can be made ready for passagemaking to distant shores. If you’re a Baby Boomer on a tight budget who’s ready to untie the dock lines and escape from reality, here are 10 boats worth investigating. The Peterson 44 has withstood the test of time. Lots of time. You’ll still see the popular center cockpit Peterson 44 ($95,000 – $120,000) plying the waters 30 years after most were launched. The California-based designers hit the jackpot with this fast cruiser, and over 200 hulls were built. I’ve seen them cruising all around the world with their wineglass transom and cutter rig, which is versatile for a lot of different waters. Though the Liberty 458 will be tough to find, it's worth looking for. A less prolific builder was Liberty Yachts that had the Tom Hoyt-designed Liberty 458 ($150,000 to $180,000) and the Liberty 49 ($190,000 to $220,000) drawn by Stan Huntingford. Both of these boats have a terrific layout and both were built in the Shin Fa yard in Taiwan in the early and mid-1980s. The finish is excellent but the boats are hard to find, because few were built – 31 of the 458s and only 13 of the 49s. 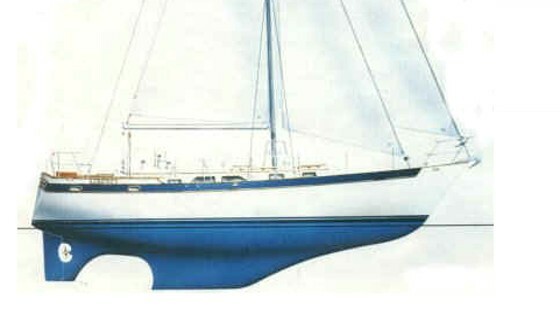 According to Jo Hoyt, who started the company with her husband Peter, the 458 is actually based on a stretched Peterson 44 hull with a different deck mold. 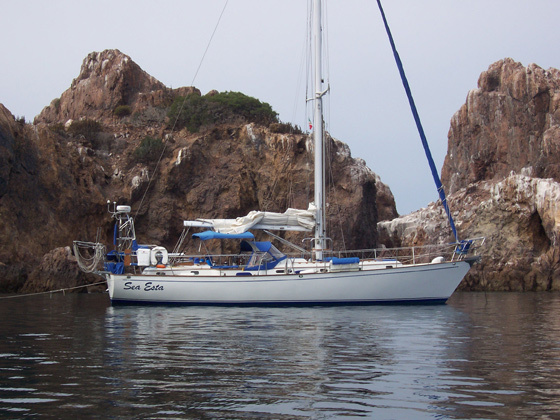 The Celestial 48 is another model that's been around for over three decades, but still makes for a competent cruiser. Another rare center cockpit, elongated-fin keel boat from the 1980s was the Celestial 48 ($100,000 to $140,000) built in Xiamen, China, in a yard that still builds Passport yachts today. These sloop or ketch-rigged models have a great two cabin/two head layout and still draw lots of compliments in an anchorage today. The engine room on these models is worth the price alone – it has a door entry with lots of room for a genset, watermaker, and other gear. 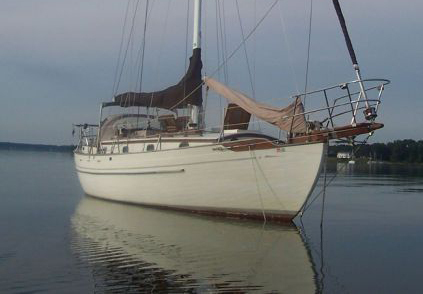 These boats were built as sloops for the European market into the 90s, and are a great value. If you like a classic look and lots of brightwork, the Hans Christian will catch your eye. This iconic company has multiple models that are respected in the cruising community, including the HC 38 ($80,000 to $130,000) and the HC 43 ($115,000 to $175,000). They’re very traditional, double-ended, heavy displacement, full keel boats with tons of teak, so you better like varnishing. Some of the original 38s had black iron tanks, which is something to inspect before purchase. 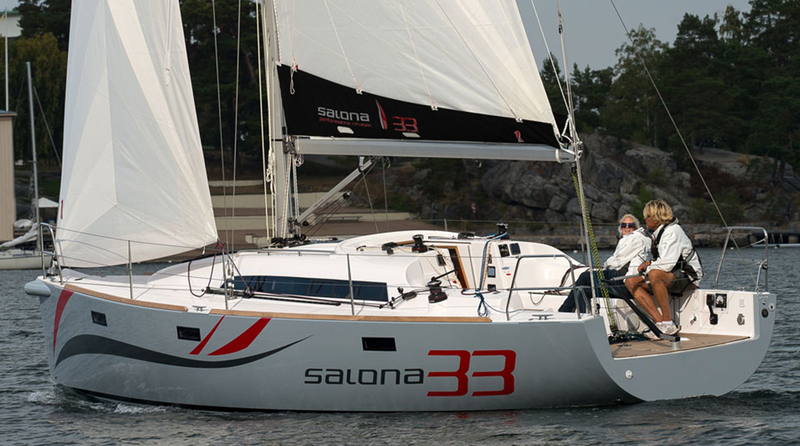 The Tayana 37 is one of the smaller boats in the mix, but it packs plenty of punch. 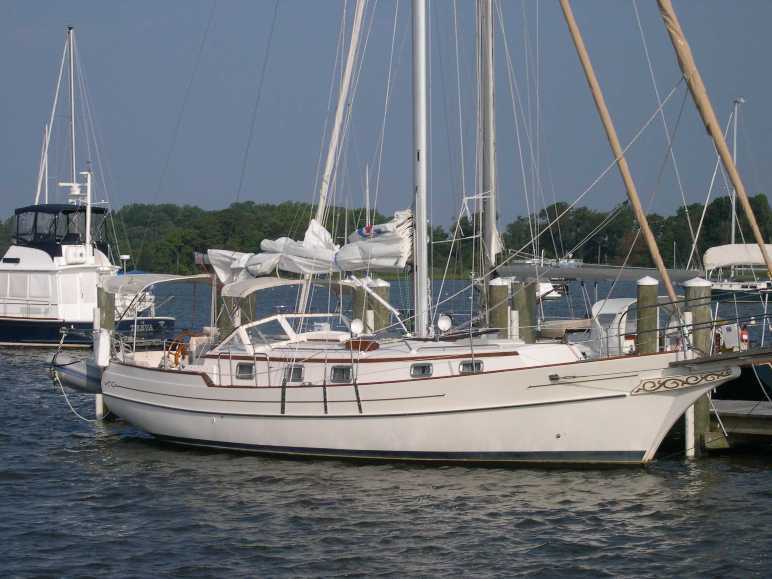 Tayanas are still built today with popular models that include their 54 and 64 footers. 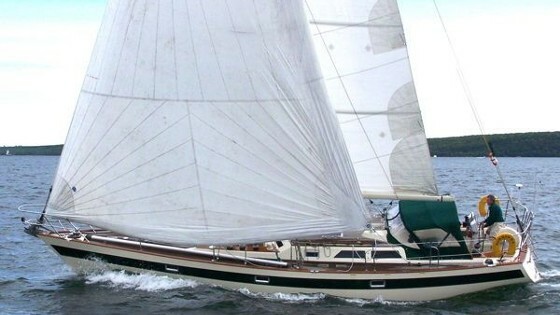 But among their most prolific small boats was the 37 ($65,000 to $95,000), a traditional-looking double-ender with a full keel and a cutter rig that was built in the 1970s and 1980s. These boats are fairly heavy and have a long bowsprit. They won’t win any races but they’re stable and predictable in a seaway. 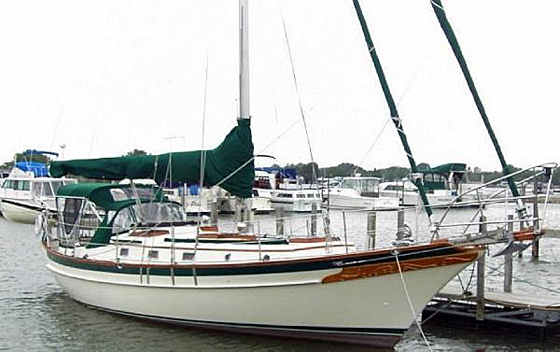 Though the new boats look a bit different than this 1983 Passport 40, the company is still a popular builder today. When I was looking for a cruising boat, one boat that kept popping up on my list was the Passport 40 ($90,000 to $140,000). Today you’ll find them all over the US because they originally shipped to both East and West Coast owners. The interiors changed slightly over time, with U or L-shaped settees in the saloon, a Pullman berth in the master, and a head in the forepeak. Engine access (either a Perkins 4108 or a Yanmar) was excellent under the saloon table. The Robert Perry-designed Passport 40 was launched in 1980 and was produced until 1991; in total, 148 were built. 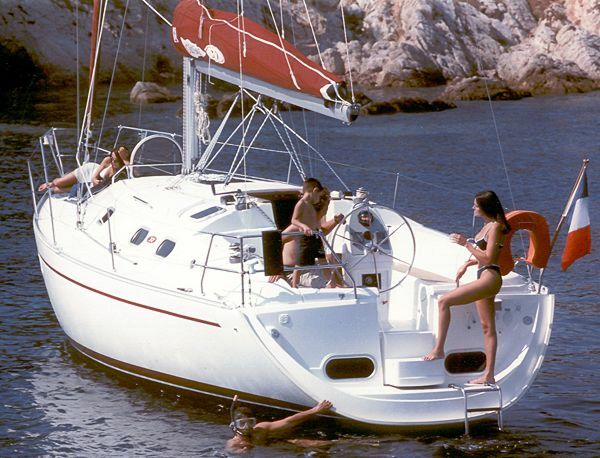 A controversial pick - the Gulfstar 44. A potentially controversial choice, and you may hear people badmouthing these boats, but don’t listen. The Gulfstar 44 ($80,000 to $120,000) from the early 1980s was well-designed and built by Vince Lazzara in Florida. There was an early 1970s version which I’d ignore, but the center cockpit versions from the 1980s were well ahead of their time and today, represent a good value. There was also a big sister, the Gulfstar 50 ($90,000 to $140,000) that had a fin keel, a skeg-hung rudder, and a great interior layout. They're comfortable, they're fast, and they can go the distance: the Norseman 447. This is a sleek Perry design with a low-maintenance exterior and contemporary lines ($150,000 to $210,000). These are quality, performance cruisers with center or aft cockpits, a cutter rig, a draft over six feet, and a great layout. They were built in a reputable yard in Ta Shing, Taiwan. 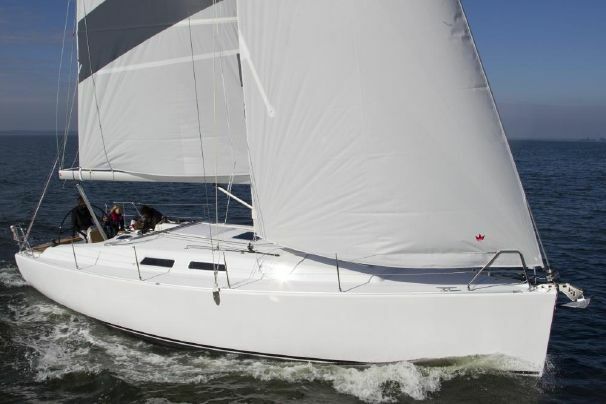 The 44% ballast to displacement ratio and the 940 square feet of sail area make them a comfortable and fast passagemaker. 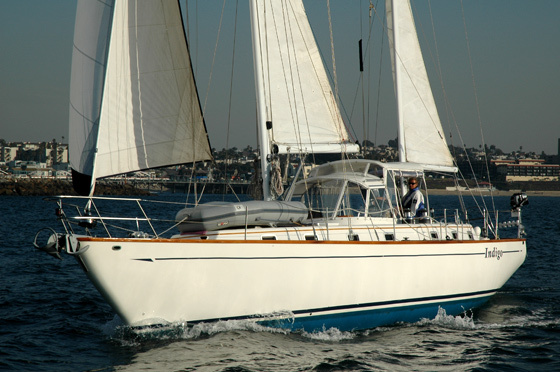 Hylas has many popular models today, but the 44 is a classic. 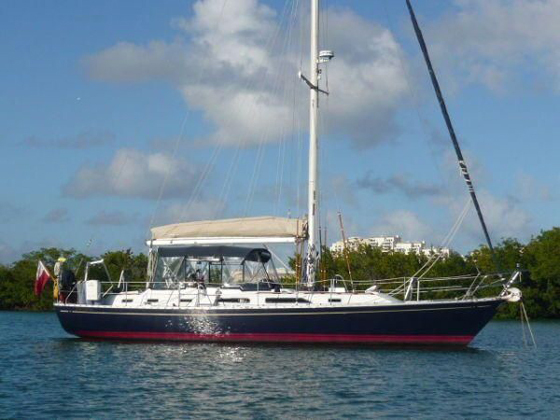 The Hylas 44 ($140,000 to $80,000) was originally built for charter, and many of them can be found in Florida these days. 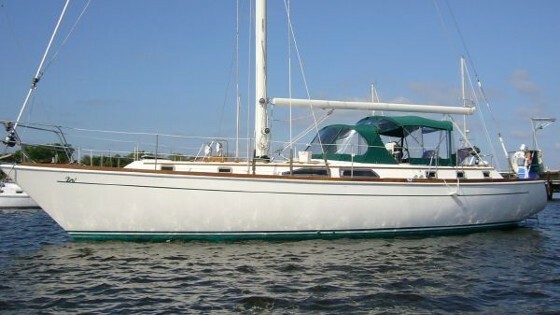 Hylas is a premier builder that still offers designs from 46 to 70 feet, but one of the earliest models was the 44 that was built from the mid-1980s to the early 1990s. The center cockpit allowed room for a great master stateroom below and the rest of the layout is very workable too. It’s a capable passagemaker with clear decks and good manners that can be handled by a couple. A personal favorite: the Cabo Rico 38. I must admit, one of my personal favorites is a Crealock design, the Cabo Rico 38 ($90,000 to $120,000 for mid-80s boats, but higher for more recent models). These boats have a cutaway forefoot full keel and were built from the late 70s until the early 90s. 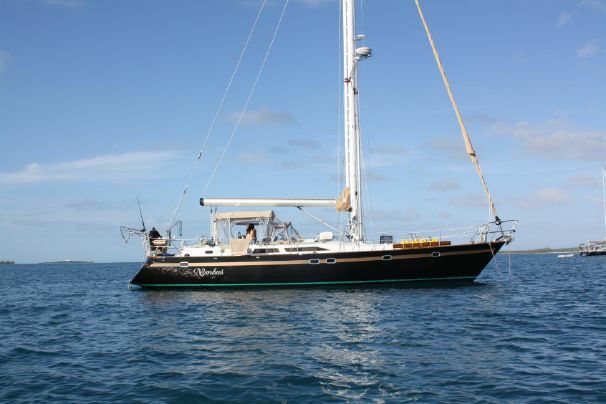 Sadly, after putting out a couple of hulls of a beautiful 56-foot flagship, the company faltered and went bankrupt in 2009, after which the production facilities in Costa Rica went silent. 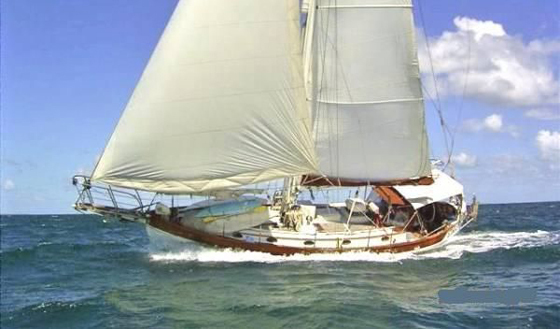 If I were to go cruising singlehanded, I’d seriously consider this boat—although it has plenty of room for a couple too. Finally, let me mention the unthinkable: production boats today are pretty seaworthy and some can and have crossed oceans. Gasp. 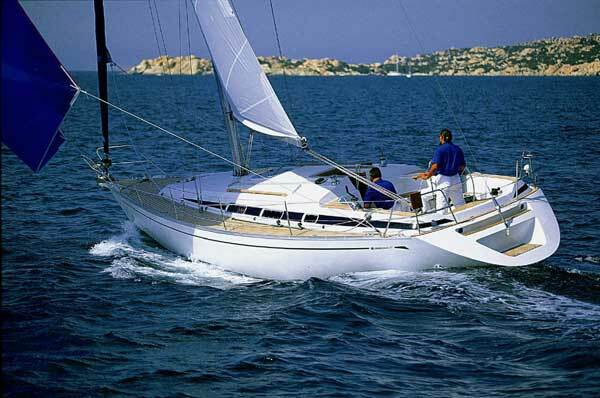 Supposedly, more Beneteau hulls have made bluewater passages than any other brand. Consider a Dufour, Jeanneau, or the Beneteau Oceanis series, and realize that you can get a 40-something-foot boat that's under 10 years old for under $175k. The hulls are usually solidly built, so if you update the rigging and sails, check the keel and rudder condition, and invest in system upgrades, you’ll have a comfortable, late-model boat that will get you where you need to go and save you a bundle.